Claim up to £100 of Bingo and Slot Games with the X Factor Games matched bonus offer. You will also get a free £5 to play on Slingo Rainbow Riches. Britain's Got Talent Games offers a 100% matched bonus, up to the value of £100. In September the free bingo online game Royale was introduced with Carry On Star and Eastenders actress Barbara Windsor being crowned as their Queen. There were many promotions to advertise it which included some fun TV adverts. 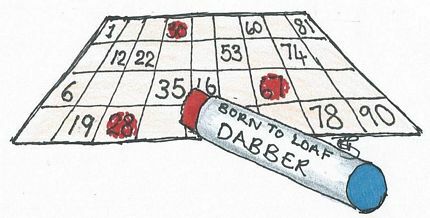 You will hear numbers being called out by Babs and if the Queen is in her palace she will issue a Royal Pardon where her royal dogs will bark a set number of times, calling for more balls. Everyone who completes their cards during these calls will get a share of the Royal Pardon Jackpot. 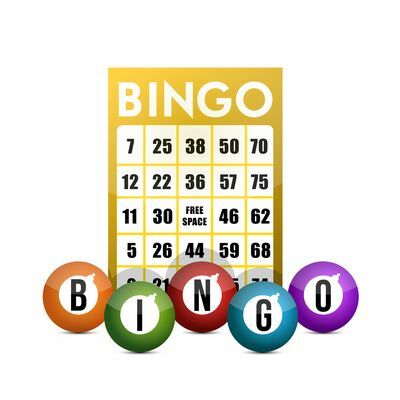 Bingo Gold is one of their most popular with hours of fun - and the opportunity for huge prizes. The largest was Mark J from Lancashire who won £107,646.90 in April. Mark had only just joined several weeks before and couldn't believe his luck. Especially when he was initially attracted to the site when he went to play for free and enjoyed them so much he stayed a member. Mark plans to share it with his family, especially his sister who is pregnant. He also plans to put a deposit on a house with his partner. They further rewarded Mark with a trip to London to celebrate. Return to the borntoloaf new freebies section. Is it safe to give your bank account details? We are frequently often asked if it is safe to leave your bank account details. It is always good practice to look at the page where you intend to type in your details to verify that it is a safe and secure internet page. So there should be a small padlock next to the web address in your browser and the website address should start with https and may have a sub domain with the word secure within it. Others include Blockbusters which was introduced to Mecca in the summer. This is based on the popular 1980s show hosted by Bob Holness which had the classic catchphrase of "I'll have a P please Bob"
You can enjoy listening to the original theme music and view the iconic honeycomb grid. Letters replace numbers to make playing as much like the show as possible. There are two cash prizes up for grabs, and these can be won by matching a vertical column or horizontal line. The special Gold Run bonus round that appeared on TV Blockbusters also appears in the form of one-to-go (1TG). You have to work your way across the grid, selecting and scratching off the panels and need to match just two cash values. I have never won anything in my life before. I was with my husband at home on our wedding anniversary and thought to play, thinking the night would be lucky. When I won Tycoons Treasure, I jumped up and down in joy! It hasn't really hit me yet. I am waiting to see the cheque. At the time, I just sat with my daughter and cried! We are going to take my daughter away for a week then I shall buy my own laptop. After all I want to continue my luck by playing more whenever and wherever I want. Next year we plan to go to Disneyland. As well as this the next best thing is being able to meet my friends online. Since I joined I have been telling all my friends about the site. So far four of my friends and relatives have joined. Soon we shall get together in my house and make a night of it. We will form a syndicate and see how we get on by pooling together all our stake money. I used to play at Gala and Mecca halls in my local area. But I much prefer playing online. It is far more convenient and we all love to chat. Another won an incredible ten times and the team rewarded their regular, Roberto, with a theatre break in London's West End and even invited his wife, Cristina, who has also won. Cristina can be seen in the photo below holding her two cheques whilst even luckier Roberto is next to her in the photograph holding his ten cheques. Full house bingo is a new 90 ball which is packed full of fun and playful features and round the clock entertainment. One of the most popular features is the 1p game house where they can be played for only a penny. Each has three cash prize jackpots and there is even a £30,000 to be won. They run promotions through the year and these are sent to you in the newsletter or you can view these online at their promotions page. For example on Bonfire night they ran a hot or cold prize draw where they gave away £1000 so that someone could have a dream holiday to cheer up their winter. There are also regular cashback offers at such as 10% back on any deposits at specific times. These are sometimes on a weekend so that Friday, Saturday and Sunday visitors can enjoy playing on their days off away from the office or work place. At Christmas time they hold a mega Christmas shopping spree festive bonanza. I was a bit over excited when I won but I have calmed down now. Yesterday I kept looking at the PC screen to see if I had really won all that money. My wife thought I was just larking around playing and had only won a small prize. But she kept checking the computer screen too and together we danced around the room. We can now pay off our debts and celebrate with a few close friends. There is a website where you can play a charity lotto each week and has cash prizes up to £10 million. For more information visit our Charity Lottery page. Tombola has one of the largest sites in the United Kingdom and may be familiar to viewers of the ITV soap opera Emmerdale. Their adverts appear during the commercial break. Borntoloaf visitors can claim up to £25. It is estimated that over £3 million is won each week to thousands. They are developed in-house and their team manage their own software. This means you get unique and fun ones without the need to visit other websites. Those available include 90, 80 and 75 ball. In addition they have some unique and entertaining ones such as Cinco, Roulette and even the much loved Hamster Race. Borntoloaf readers can take advantage of the £25 money match offer by registering and then making a deposit of between £10 and £25. They will then match your deposit up to £25. Depositing players can also play their free daily game called Lucky Pick where £20,000 is paid out each week. It is a website that accepts Paypal as a form of payment. 90 is their most popular. There are 5 clubs to choose from and 15 chat rooms and tickets cost 10p and with a progressive jackpot which often reaches above £20,000 each day this is one of the many reasons that makes it so popular. One player was ned55hgv who won an incredible cash prize of £25,207 on the jackpot. Every 30 minutes the five clubs come together for a link and at 9pm there is a guaranteed £1,000 link. 80 The classic shutterboard incorporates the US style 75. Tickets cost 25p or 10p and both offer two chat rooms and both have a jackpot of £500. Lite is a little bit like the 90 game though the cost of the tickets are less at just 2p, making it an ideal game for those with a budget. It has a jackpot of £100. 50 is exclusive to them and has been described as revolutionary. Imagine the balls being wrapped around poppable bubble wrap. As numbers are called the computer graphics show a small hand that pops the bubble wrap that covers a number. Another innovative feature is that you can decide how much you want to pay for a strip from 25p and £1, though the more you place the more you could potentially get back. Though if you only want to stake a small payment you have just as much chance as someone who has staked a larger amount; making it a lot fairer. Players of Cinco can get jackpots of up to £20,000. It is a game of chance rather than being skill card based. Buy a set of five cards which cost between 10p and 40p. You can buy up to five sets of cards. The dealer then deals a pack and each time one of yours comes out you get a chip placed onto it. The first to cover all theirs wins. There are ten rooms to choose from and each has their own chat room. Roulette combines the fun with the excitement of the roll of the roulette wheel. You buy 8 chips at a time and place them onto the roulette table. You can buy up to four sets of chips. The wheel is then spun and each time one of your numbers is called the chip is removed. The first player to clear a set of chips is the winner. Tickets cost between 10p and 50p with jackpots of up to £10,000. Hamster Race is perhaps the best loved where you bet on which will win the race. A nice easy one where the fun is seeing them run. Borntoloaf will finish off the review, though the list is not exhaustive. Other not reviewed here for reasons of space include Roller-Coaster where you try to get all the balls to land in the roller-coaster carriage, Bandit where a slot machine spins and awards with points for each spin and whoever gets the most points by the end wins and the classic Battleships where just like the board whoever sinks the opponents ships first wins! Do look out for their regular promotions which are detailed at their website and in their newsletter. For example recently they gave registrants £5 and recently one of them won a family holiday to Mauritius. Britain's Got Talent room is now live with Mecca who signed an exclusive deal with the makers of Britain's Got Talent, FreemantleMedia Enterprises (FME). This makes them the official online gaming partner of the ITV program Britain's Got Talent which saw 18.3 million viewers tune into the finale. This was almost one third of the population of the United Kingdom. Average audience figures for each episode was 13.3 million. This three year deal enables them to create an exclusive room using the much loved and popular ITV program's theme music, logo, graphics and images so that it looks and feeld like watching the show. This contract is also exclusive to the Mecca halls and clubs throughout the UK. We are very excited to be joining forces with one of the UK's most successful TV brands, in the first deal of its type. This deal will give us exposure to a new audience, including the opportunity to promote to fans. It will also enable us to enhance our offering to our existing customers. For example we will be able to give them the opportunity to get some fantastic prizes including trips to auditions and live shows. We are delighted to be building this long term partnership. Last year's series final was the most watched show on TV and we are looking forward to building on that success beyond. These types of deals are crucial in extending the brand successfully beyond the TV screen. It is an exclusive 90 ball and to celebrate the launch of this they are offering a £5 play to trial it. There is also the chance throughout May to receive exclusive tickets for the grand final of the live show. There are a generous six opportunities for cash prizes which are the usual one line, two line and full house jackpots. There is also two fantastic new bonus features called Lucky Number Jackpot and the Star Struck Scratch Card. Prior to starting playing people have the chance to select 3 Lucky Numbers between 1 and 90. If the one line, two line or full house prize is won using one of those lucky numbers as the last ball called, that player gets a cash prize which will range from £1 for matching one ball, to the top Judges Jackpot prize of £250 for matching three balls. In addition the Star Struck Bonus Scratch Card may pop up throughout the day in selected sessions. This gives yet another chance for between 10p and £10, simply by scratching off those famous crosses to reveal three matching symbols.